Judwaa 2 Movie complete Review, Star-Cast and Story . . .
Movie Judwaa 2 is sequel of super-hit movie Judwaa acted by Salman Khan and the movie was released in 1997. Judwaa 2 is a Action Comedy movie, Acted by Varun Dhawan, the movie is set to be released on 29 September 2017 and expecting huge crowd. Movie Judwaa 2 shooting location is UK, India and some other locations. This movie Judwaa 2 is based on Judwaa, and Varun Dhawan will be playing twin role as Prem and Raja opposite Jacqueline Fernandez and Tapasee Pannu. Varun Dhawan is set to entertain audience with comic actions and it will be family entertaining movie. 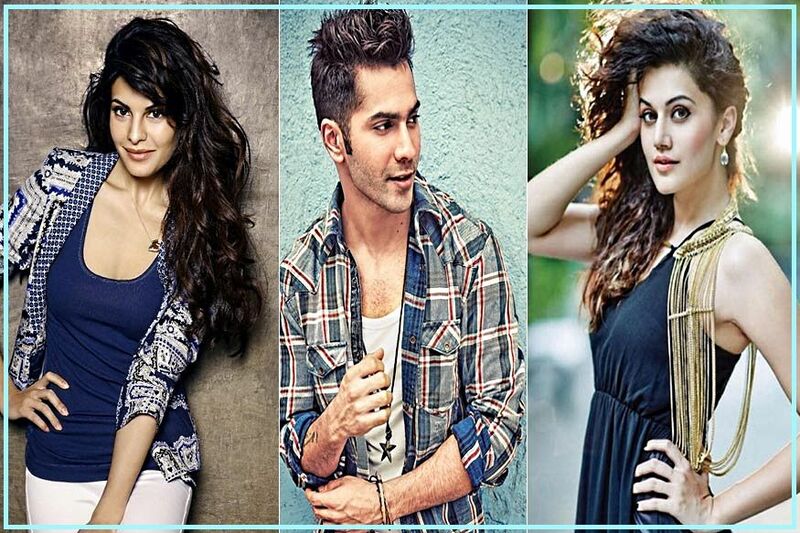 Both the actress Jacqueline and Taapsee has performed well and audience will see them in the new avatar. Varun Dhawan who is performing twin role as Prem and Raja both will be brother who are separated in child-hood but they are uniquely connected to each-other by their reflexes. Prem and Raja will reunite in adult-hood and set out to take-down the underground smuggling world. This movie is full of entertainment, action and comedy. Audience will enjoy the movie and this week Judwaa 2 is full entertainer. Movie Judwaa 2 is produced by Sajid Nadiadwala. Sound Track of the movie Judwaa 2 is taken from Judwaa, Track – Chalti hai kya 9 se 12 is very famous song and Oonchi hai Building song is quite appreciated by audience. Please let us know your view on Judwaa 2 in comment below !!! Previous articleHindi Medium: will Raj get admission of her daughter in English Medium school ? Next articleAmitabh and Taapsee upcoming movie – Badla: Review, Star-Cast and Story !! !